DXARTS Soft Lab creative Heidi Biggs will perform Racquetball Score at On the Boards on April 24. This piece explore gender nonbinary through soundscapes captured through a game of solo racquetball play. "TEXTILE INTERSECTIONS is a two-days conference and three-days exhibition of works organized by the Textile Design Research Group at Loughborough University in collaboration with Royal College of Art and Queen Mary University London exploring collaborations in textile design research to be held at Loughborough University in London between 12 – 14 of September 2019. The Attempts, Failures, Trails and Errors. Notes on an exhibition of failed prototypes and rejected projects paper will be presented at Running with Scissors, 13th EAD Conference University of Dundee on 10-12 April 2019.
eTextile Spring Break is a weeklong gathering of eTextile and electronic craft practitioners in upstate New York at the Wassaic Project from April 7-14, 2019. A symposium organized by Sareeta Amrute, Audrey Desjardins, Afroditi Psarra, Daniela Rosner and Phillip Thurtle with keynote talks, round tables, workshops and performances by Morehshin Allahyari, Trinh Mai, Sarah Zewde, Nais Dave, Kalani Young, Azzurra Cox, Gabriel Dattatreyan, Nia Easley, Giulia Tomasello, Juno Parrenas, Doenja Oogies, Nisi Shawl and Constanza Piña. Trials and Errors exhibition at Kibla Multimedia Center in Maribor, Slovenia. Curated by Tincuta Heinzel. 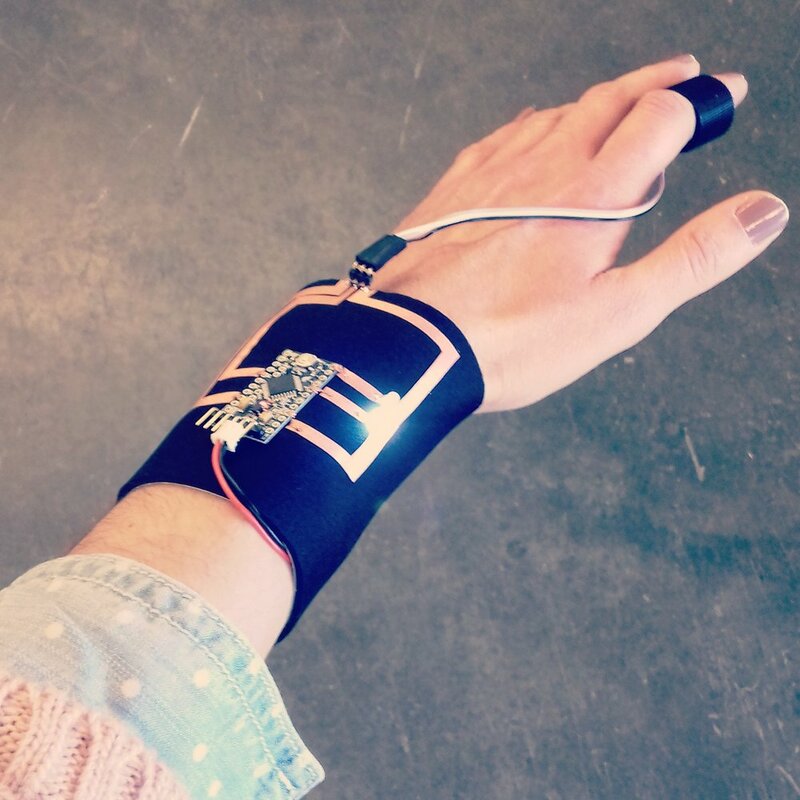 This workshop is an introduction to the world of electronic textiles by creating wearable antennas and amplifiers that can sonify invisible electromagnetic fields. Join us to learn how to handcraft using conductive fabrics and yarns, and to experience an exploratory soundwalk around Pioneer Square. A multimedia installation by Chun Shao. This workshop is an introduction to wearable technology through fractal antennas - antennas which use fractal geometry to maximize their bandwidth which are capable of sensing HAM radio, FM and AM bandwidth, satellite communication, PAN, RF and wifi signals depending on the antenna material and tuning. On Friday, February 16th 2018 Afroditi Psarra will be giving an artist talk at Reed College in Portland, invited by Prof. Geraldine Ondrizek.